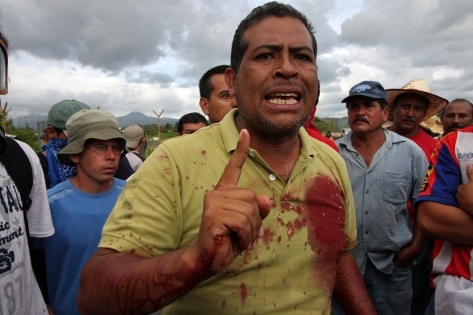 Manuel “Mel” Zelaya, the democratically elected president of Honduras, was removed from the country during a military coup on June 28. Major demonstrations have been calling for his return, but the corporate media has virtually ignored them. Transcribed below is an interview from the Real News Network with Dominion correspondent Sandra Cuffe, who was at the Tegucigalpa airport on July 5, awaiting Zelaya’s return. 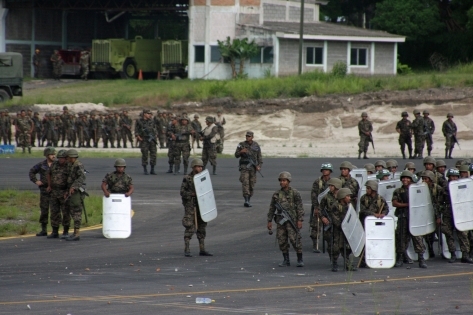 “When the march was approaching the airport—and at first there was the roadblock set up by soldiers one kilometre away from the airport [to] stop it from getting to the airport, and there were other roadblocks set up on the way to the march, so that people who hadn’t joined the march from the very beginning, this morning at the Tegucigalpa University, and were heading to the airport or to meet up with the march, couldn’t even get that far. So I had gotten through one of the roadblocks and made it to the airport. I was there when the march finally arrived. And the march—which was probably two, three times the size it had been in the past couple of days, so we’re talking, like, literally hundreds and hundreds of thousands of people—managed to get to the airport, because they actually kept advancing peacefully, slowly, and steadily, and pushing back soldiers and the police all the way back to the airport. 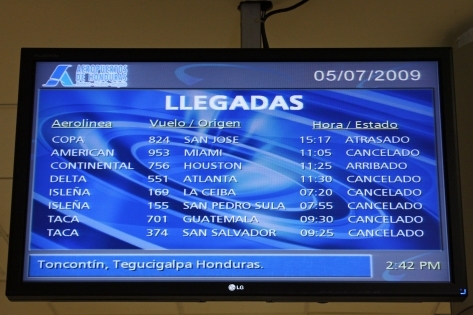 The interim Honduran government imposed air travel restrictions, canceling the majority of commercial flights into and out of Tegucigalpa’s Toncontin airport on July 5, preventing the return of ousted President Manuel Zelaya. 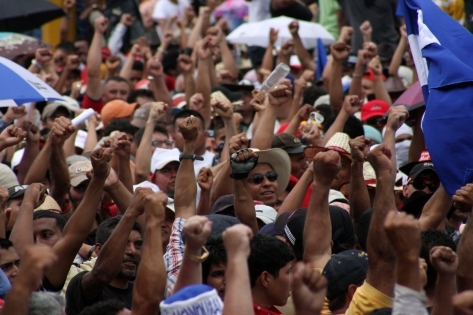 On the day ousted President Manuel Zelaya was to return, thousands of people gathered at the Universidad Pedagógica to march to the airport to welcome him. 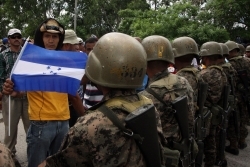 Although security forces created several blockades, in the end the police and the military decided to allow the demonstrators to advance to the airport. However, at one end of the airport some demonstrators started cutting the mesh fencing around the landing strip. At that point, the military threw tear gas and shot at the demonstrators, killing at least one person. During the course of the night, three others died in hospitals and several more were seriously injured. James Rodríguez is an independent photo-documentarian currently based in Guatemala. To contact, and for more of his work, please visit www.mimundo.org.